The TCPO has many volunteer opportunities, including Cook Park or Todd Island Park maintenance projects, fundraising and concert set up and clean up. We also welcome help with the Todd Liberty Parade and are always looking for folks to help with setup, breakdown, costume repair, costume creation and more. If you would like to volunteer with the TCPO, please send us an email through the Contact Us form on the contact page or talk to any of our board members. We’d love to hear from you! The Todd Liberty Parade takes place every 4th of July and relies on many volunteers to plan, design and make the Liberty Parade happen. 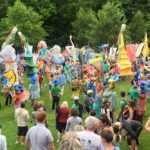 This amazing parade draws residents and visitors alike – at least half of whom walk in the parade wearing costumes and hats and carrying banners and instruments, most of which were made by Elkland Art Center. Many months go into preparing the many costumes and details surrounding one of Todd’s favorite events. The more hands, the better. Join the effort by contacting us. 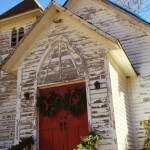 St. Matthew’s Chapel, located on highway 194 in Todd, had not been in use for many years. The church is an important part of community’s heritage and there is widespread interest in restoring and preserving it for the community. The Friends of St. Matthew’s are spearheading efforts to clean up and restore the church. Although significant work has begun, there is more to be done. Learn how you can help at Friends of St. Matthew’s. 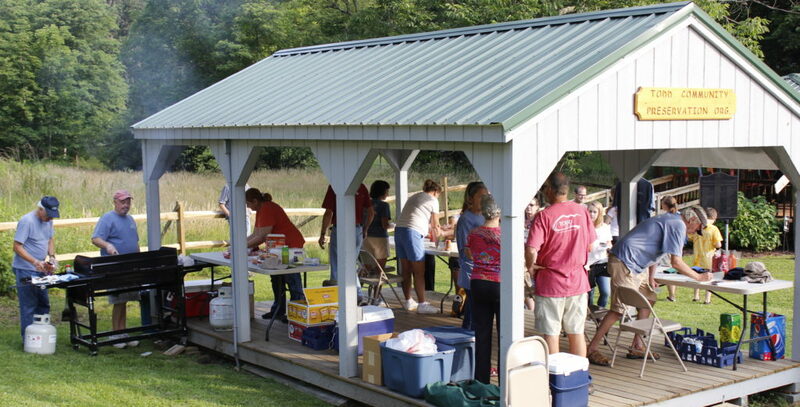 Blackburn Community Outreach, Inc. is a missional program of Blackburn’s Chapel United Methodist Church dedicated to community development and the vitality of Todd. The residents of The Blackburn House live together in the church’s lovely parsonage located in the rural mountain town of Todd, NC. Through commitment to prayer, friendship, and service in Todd the residents of The Blackburn House practice hospitality and reconciliation in ways that are both ordinary and spectacular. Visit theblackburnhouse.com to learn about their programs and how to get involved. We need to keep our river clean! 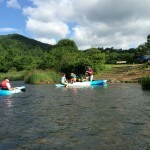 Come join RiverGirl Fishing for a fun morning of good friends and free boating while we clean the river. Enjoy good food afterwards! Starts at 10:00 on the 1st Tuesday of each month. Visit rivergirlfishing.com for more information. Green Valley School Tutoring is part of a school partnership program initiated by Blackburn House Outreach. Green Valley School is the local Elementary School and the tutoring program has grown and is always looking for community members to volunteer. The hours are flexible as long as they are during the school day. No experience necessary. Love to garden? 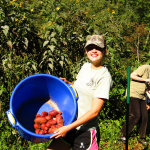 You can participate in the Todd Community Gardens, Beatitude Gardens, Work Days. Blackburn Community Outreach has been developing a community garden for several years. Last year, more than 100 lbs of produce were donated throughout the community to help address food insecurity. BCO hosts Work Days when neighbors and visitors are invited to join together on a Saturday to garden and get to know one another as we address hunger in our area. Learn more here: Beatitude Gardens.